1. Put an examination glove over your Stethoscope. 2. Use Coca Cola for clogged G Tubes. 3. Glasses sliding down your nose? Use skin prep to keep those peepers in place. 4. Pulling tegaderm and duoderm parallel to the skin to remove it. It stretches and releases the skin nearly painlessly! 5. Use an alcohol swab to lose that pesky IV tubing!! 6. Open the back of a diaper and fill with ice to use as an ice pack. Very flexible for many body parts, and extremely absorbent. We mostly use it for perineum tears! 7. Don’t have a flush? Wrap the IV tubing around your hand a couple of times then twist. Your turn! Share your favorite nursing hacks in the comments section below. Use the plastic sleeve that the TEDS are packaged in to help apply the hosiery. Slip the plastic over the foot >> slip the TEDS over the plastic and pull on. The only two I would- and have used-are the alcohol and tape item, and the diaper ice bags. The rest? At a loss for words. Ring removal without cutting it off: To get a ring off a swollen finger use twill tape or suture. feed a short end between the ring and the fingerthrough the ring medially. Wrap the tape or suture two to three times on the proximal side of the ring. Hold on to the wrapped end and tug with the medial side until the ring moves down the wrapped side. Repeat as needed to remove the ring. No more cutting off of people’s wedding rings! I don’t understand the exam glove over a stethoscope….. why? And, do we have to bully people on this site too? Don’t you think our patients are rude enough to us, do we have to be rude to each other too? You’re a hack nurse if you use most of these hacks, especially the IV and Gtube hacks. Who wouldn’t have a flush? Coke has been empirically tested to not work as well as warm water on clogs and actually does more harm than good. Of course even better is prevention by flushing tubes per protocol, asking for physician order for more frequent flushes if needed. Best nurse practice is to follow the SCIENCE of best practice. I would never do anything to a patient I wasn’t willing to chart or testify in court about. I actually prefer ginger ale to unclog the tube. It works great! Oh shut up! It works. It uncloggs the tubes. There is always somebody who thinks they know better! You both must not work regularly with g tubes. In LTC homes and ALTC facilities where you have 10-12 tubes on one unit in one assignment, you need hacks that will help you prevent extra trouble for a patient. You won’t have to put that patient through getting a replacement tube. A peg replacement has to be done medically in the hospital. So, please! Get a life! And give advice like a real/ seasoned nurse would. Cynthia, I agree with you! There are many protocols written for an ideal world but are not realistic when working in the environments you mentioned. Fear of having to document actions take cease to be an issue once you clarify it with the physician. I do understand than many if the doctors as well as nurses working in the confines where there is minimal backup support are hesitant to step out but stay behind the cardboard of facility cover under the guise of ” following protocol. oh my goodness, we never use anything acidic in a feeding tube as it breaks down the tube that is very outdate but I continue to run into it. Pancreatic enzymes is the best method which is also unflavored meat tenderizer. And never ever use flush by applying pressure to IV tubing you will blow the line. Number 2 is not best practice. 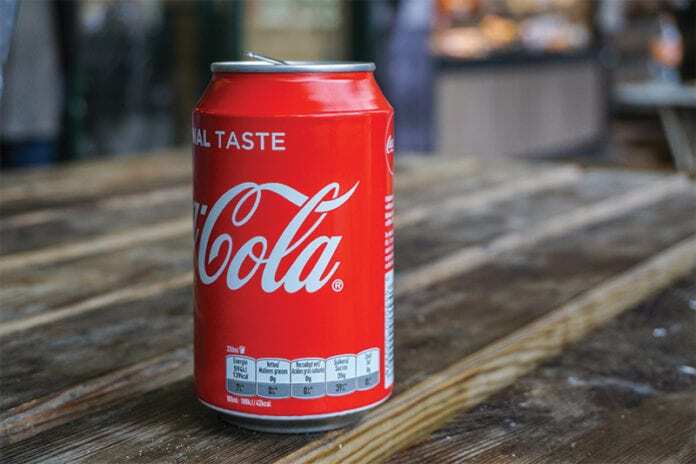 In some cases the coca cola reacts with the proteins in the formula and makes the clog worse. It’s not worth the risk, so please don’t do it! Having many years of experience I know first hand that using these and other hacks is not done several time a day for the same patient and would use my skills to bring others such as QA, nutritionist, nursing management and the physician into the conversation. I also remember that many times my patient is going home to be cared for by none nurses so working out the eventualities with the team before discharge is paramount.